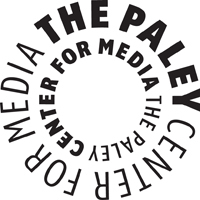 Tonight at PaleyFest2011 USA&apos;s "White Collar" will be the honoree. Be sure to check out our interview with series star Matt Bomer posted earlier today as well as our videos from "The Walking Dead" and "True Blood"
As mentioned in the interview with USA&apos;s "White Collar" star Matt Bomer that we posted earlier today, we will be going to the "White Collar" PaleyFest2011 night tonight at 7pm at the Saban Theare in Beverly Hills. Tweet your questions for the cast to @TheTVJunkie. Below this post find the video clips of our interviews from over the weekend. Although the "True Blood" panel played to a capacity crowd there are still some tickets left for other events, check the Paley Center website. We will not be doing our full listings today but we will provide you with the TV Junkie Must-Watch Plan for this evening. We had a great weekend at PaleyFest2011 where on Friday night we saw AMC's "The Walking Dead" panel and on Saturday HBO's "True Blood" panel. Below are our interviews from those two evenings, starting first with "The Walking Dead" followed by "True Blood" - we will post photos from the red carpet later this week. On a related note, if you are a huge #Truebie you will want to know about a charity auction for a personally-addressed autographed photo of Stephen Moyer - the auction ends on this Friday.